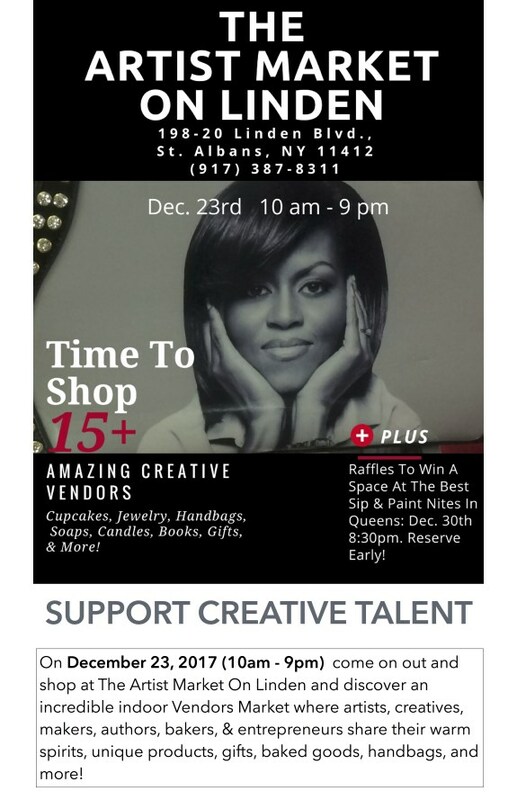 Be Creative This Christmas Showing Love With The Gift Of Art. 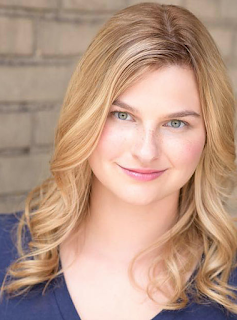 Explore the music of Frank Loesser, Johnny Mercer, Harold Arlen, Maury Yeston with cabaret artist Jackie Schiffer! Developed a love for the stage early-on, Jackie Schiffer is a versatile actor, singer, and arts educator, who has appeared on many of New York’s leading cabaret and Off-Broadway stages. Labels: Explore the music of Frank Loesser, Harold Arlen, Johnny Mercer, Maury Yeston with cabaret artist Jackie Schiffer! 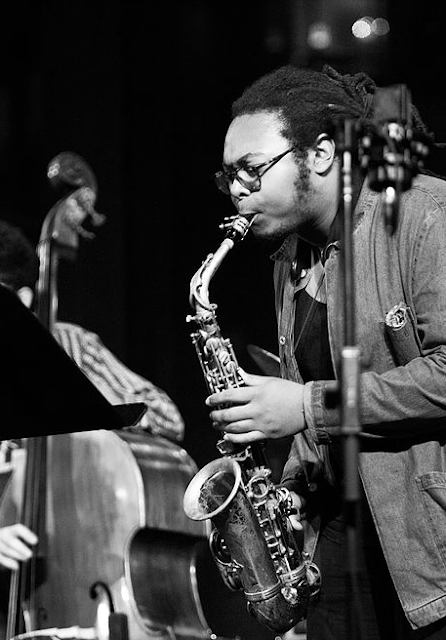 Immanuel Wilkins is an American Saxophonist, Composer, Arranger, and Band Leader. While growing up in the Philadelphia area, he played in his church and dedicated himself to teaching jazz music in places such as the Clef Club of Jazz and Performing Arts. The honor of your presence is requested at the inaugural ceremony of Council Member Adrienne E. Adams. 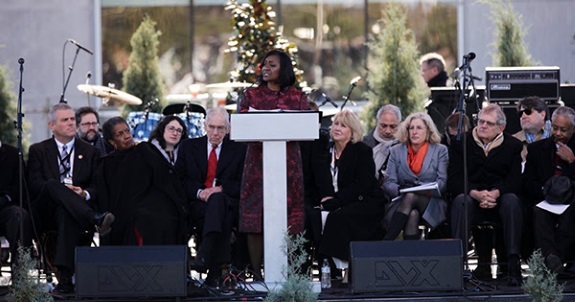 The inauguration is open to the public and all are welcome! To RSVP, please e-mail AAdamsRSVP@gmail.com. Labels: The inauguration is open to the public and all are welcome! Los Angeles, CA Belinda Baker, star of the day time talk show, "Changing Steps," has announced the launch of her new fragrance line, “Kiya 12.” Earlier this year Ms. Baker’s granddaughter Chakiya died at the age of 12 from prevotella oris a cancerous disease that often goes unnoticed and undetected. 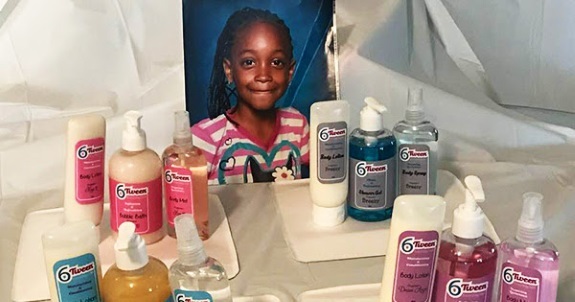 Labels: 12-YEAR OLD WHO DIED FROM PREVOTELLA ORIS INSPIRES BLACK OWNED FRAGRANCE LINE, 6TWEEN. Learn How Useful Meditation Can Be in Eliminating Stress Around The Holidays. 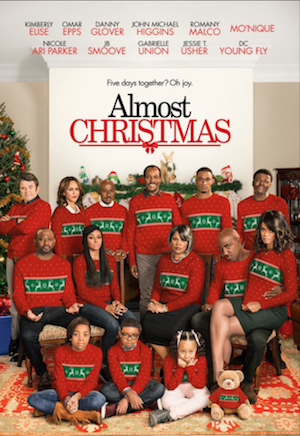 Houston, TX - The holiday season is a time of joy for some, but for others it is a time of stress and anxiety. 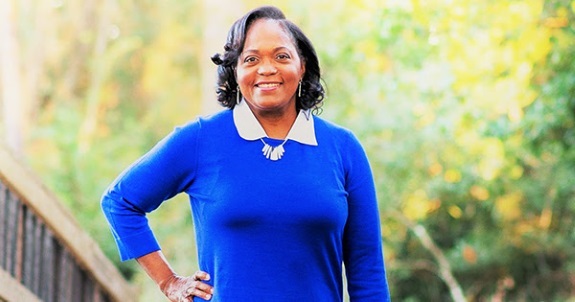 Glenda Bundy, integrative nurse coach and founder of Time Mind Life Health and Wellness Coaching has launched a meditation tool to help busy women address stress and anxiety during one of the most stressful times of the year. 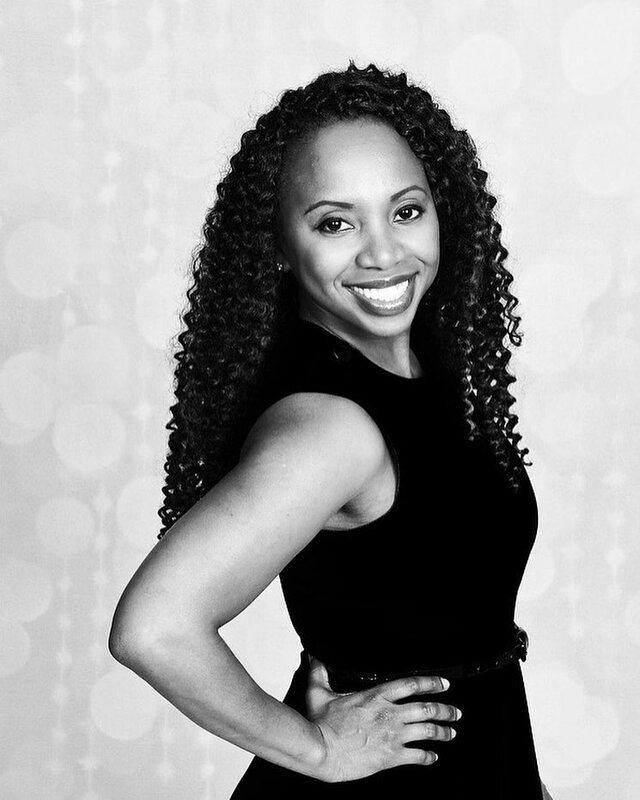 Labels: AFRICAN-AMERICAN INTEGRATIVE NURSE COACH LAUNCHES MEDITATION TOOL FOR BUSY WOMEN. Nationwide Teaching children the basics of finance as well as technology is the need of the hour today to prepare them for the future. Fortified Technical Solutions recently organized the world’s first Children FinTech Expo at Jones County High School in Gray, GA, on December 3, 2017, that took the first step of raising awareness on these two important areas of life and career. Labels: CYBER SECURITY EXPERT LAUNCHES THE WORLD’S FIRST CHILDREN FINTECH EXPO FOR KIDS ON CYBER SECURITY AND FINANCIAL LITERACY. After The Stunning Win By Keisha Lance Bottoms For Mayor Of Atlanta Will NYC Elect A Black Woman Mayor Next In 2021? 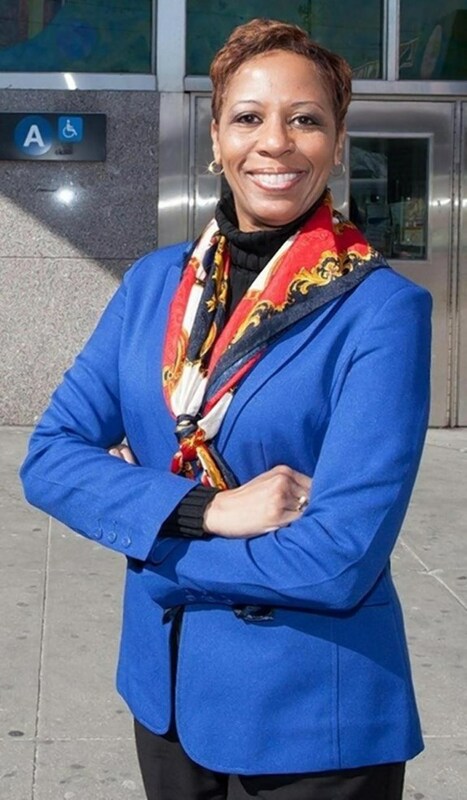 Could NYC Elect Its 1st Black Woman Mayor in 2021? 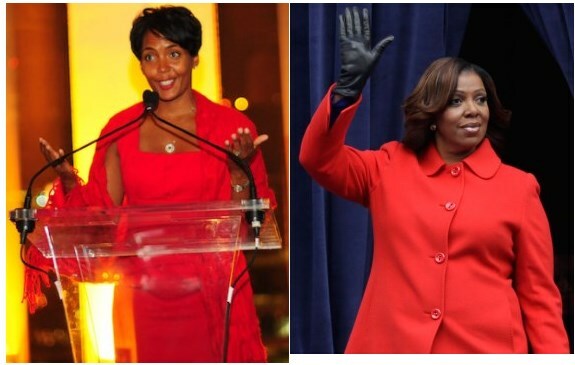 With the razor thin but invigorating win of new Mayor Elect Keisha Lance Bottoms, in the Atlanta Mayoral runoff election race recently, my imagination is fired with the possibly of New York City electing its 1st Black woman to the office of Mayor in 2021. While this may seem a bit far fetched nevertheless if you look closer at the dynamics of electoral politics in New York City, this is a distant but nevertheless distinct possibility. But why would people think a Black Mayor in NYC is a possibility when the Big Apple hasn't had a Black Mayor in decades? 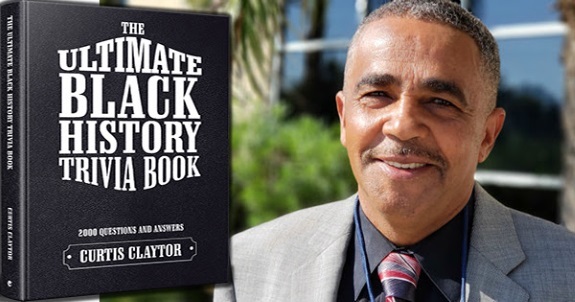 New York City has had only one Black Mayor in its history. With gentrification and demographic changes some may think having a Black female Mayor in NYC is a stretch at best. Senator James Sanders Jr. (D-Rochdale Village, Far Rockaway) partnered with the Citizens Committee for New York City to host a Community Grant Workshop at the Multi-Service Center in South Jamaica on December 6, 2017. Over thirty members from garden committees, civic organizations, tenant associations and block associations spanning areas from Springfield Gardens to the Rockaways arrived eager to learn how their respective groups could receive grant funding through the CCNYC, which has been helping New Yorkers improve the quality of life in their neighborhoods for over 40 years. Labels: Grant Workshop, State Senator James Sanders Jr.
State Senator James Sanders Jr. (D-Rochdale Village, Far Rockaway) held a Senior Job and Resource Fair on December 14, 2017 at the South Jamaica Multi-Service Center. Recognizing that the best things come with age including experience and responsibility, Senator Sanders sought to match those ages 55 and older with employment opportunities. More than 75 seniors attended the event. Some were seeking extra income to make ends meet, while others wanted a little extra financial security, and then there were those who were seeking to make better use of their time and feel productive. Whatever the case, there was a wide array of companies on site to suit their needs. There were positions available in the fields of home health care, customer service, and retail seasonal assignments. Organizations like the Department of Labor tried to match seniors to positions based on their experience and resume. After nearly 3 weeks there have been no arrests in the chilling case of Desiree Gibbons, The Hollis, Queens, resident who was brutally murdered on the Island of Jamaica, West Indies. And her mother is losing confidence in the ability of the authorities in Jamaica to bring her killers to justice. Some accounts state Gibbons was staying in Jamaica, developing some media projects she was working on and reportedly looking to go to film school in Europe. Other sources say she was just vacationing. The Daily News, reported her grandparents owned an hotel on the island called "Gibb's Chateau." Desiree was 26, and her mother Andrea Cali-Gibbon, felt that she knew her killers. She suggested Desiree was not the type to go out with people she didn't know. 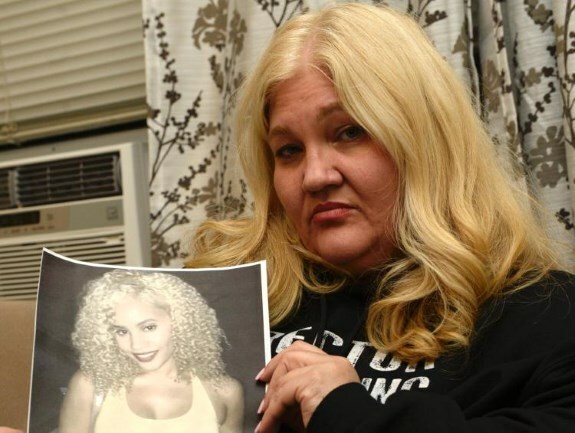 According to Pix 11 News "Somebody summoned her out of that hotel," Cali-Gibbon said. "She knew them, and she knew them well. She had not been around them once or twice; she had been around these people multiple times. Probably in the three-plus weeks she was there." Get The Scoop Weekly On Southeast Queens. Subscribe to Our Mailing List. It it’s Wednesday evening, then its movie time at the Central Library. 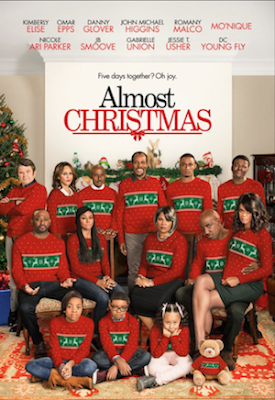 A dysfunctional family gathers together for their first Christmas since their mom died. 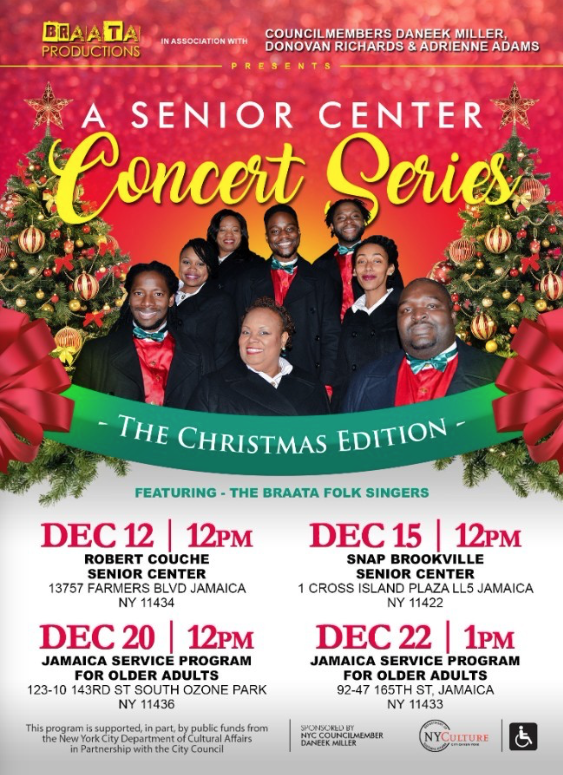 The Braata Folk Singers are pleased to join forces with Council Members I. Daneek Miller, Donovan Richards & Adrienne Adams to present BRAATA’s Senior Center Concert Series: The Christmas Edition. Join them as they ring in the holidays with holiday songs! Don’t forget to bring your voice. Labels: The Braata Folk Singers. Scrooge – This wonderful heartfelt play is a cross between Scrooge and Annie. The cast features James Garrett as Mortimer Scrumbald (Scrooge) and the ghosts of Christmas Past, Present and the Future. Each year we honor a surprise guest performer. The young actors who portray the orphans are part of the East Harlem Youth Repertory Theater. This play is perfect for grades Pre-K through 8th grade. 55 minutes. Labels: The young actors who portray the orphans are part of the East Harlem Youth Repertory Theater. But the Museum of Mississippi History and Mississippi Civil Right Museum occupy a special place in my heart. Years ago my parents, Mary and Herbert Montgomery, left Clarksdale, Mississippi for Detroit. This was not an easy decision for them. They were truly pulling up roots. Labels: SPEECH AT THE GRAND OPENING OF THE MUSEUM OF MISSISSIPPI HISTORY AND THE MISSISSIPPI CIVIL RIGHTS MUSEUM. 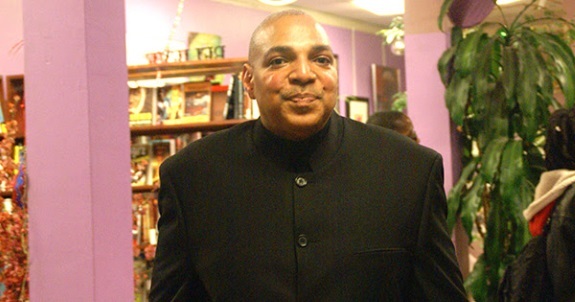 Terrance Amen, Founder and CEO of 3UFirst Calls On Black Leaders To Unify. 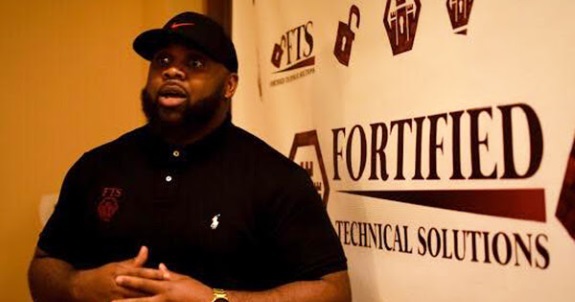 Nationwide Terrance Amen, founder and CEO of 3UFirst, is making a call to Black leaders to come together to finally solve the major problems in the Black community. For the past 50 years, leaders working individually have not solved the major problems of discrimination in, getting jobs, housing, banking, business and investment opportunities, entertainment, and other areas. This includes church leaders, the Nation of Islam, NAACP, Black media, and others. So, what’s the solution to still having to rely on people outside our community for our livelihood? Labels: 3UFIRST CALLS ON BLACK LEADERS TO UNITE TO FINALLY SOLVE THE MAJOR PROBLEMS IN THE BLACK COMMUNITY. Daymond "The Shark" John Edits Russell Simmons Out Of His New Book "Rise & Grind"
Photo Credit Russell Simmons - Brett Weinstein - Transferred from en.wikipedia to Commons. Two Southeast Queens celebrities and business moguls Daymond John, and Russell Simmons, are in the news. These two business barons both hail from Hollis, Queens. Since these two legendary celebrity standouts come from the same neighborhood you would think, of course, they have a natural interest and familiarity to collaborate on some projects together. 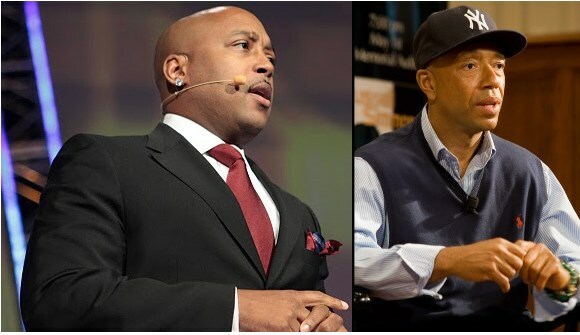 So it shouldn't be any surprise to anyone that Daymond John would reach out to Russell Simmons for his new book Rise & Grind. 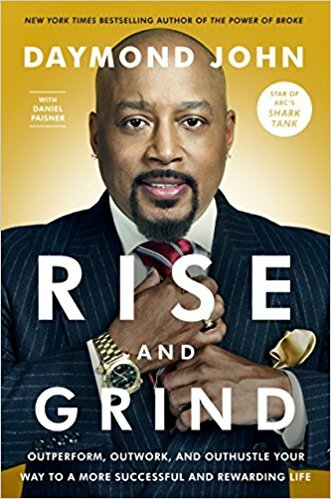 Rise & Grind, is being billed as a book which reveals the habits and procedures of successful high performers in business and other aspects of life. Russell Simmons of course would be included in a book of high performers, coming from humble beginnings in the working class and middle income area of Hollis, Queens, to being a globally recognized brand and millionaire. However, with his highly anticipated book ready to be published, Daymond decided to make a quick omitting of Simmons because of recent claims about his sexual scandals. 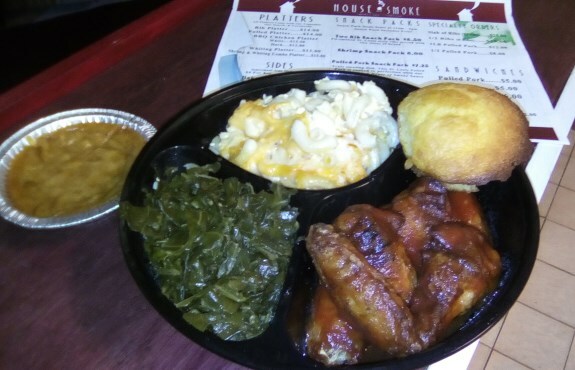 BBQ And Soul Food Is Soaring At "House Of Smoke!" Near the Historic mural of the legends of St. Albans, is a new promising BBQ and soul food establishment called the "House of Smoke." The House of Smoke is poised to soar in its reputation for tasty BBQ and soul food and is a family business run by the Eagle family. The Eagles, are a family of long time residents in the Southeast Queens area. The family, like a lot of our families, has southern roots. The recipes come from the grandmother of the family and she has a good touch for soul food. The Eagles tell me their speciality is BBQ ribs. They also offer BBQ Chicken and fish like Whiting, Tilapia, and Shrimp.